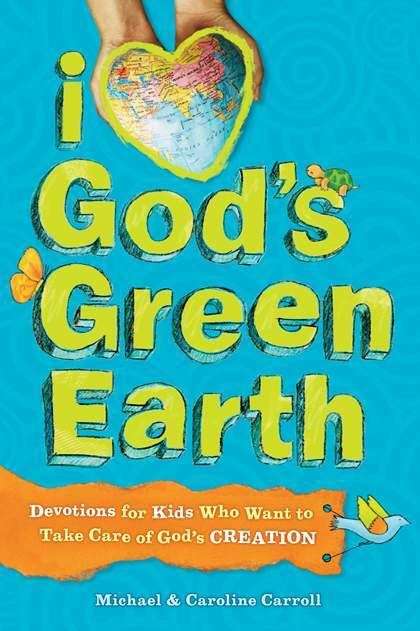 I Love God’s Green Earth is a three-month devotional for kids who want to connect their Christian faith to learning more about the world and how to care for it. The devotional offers ninety days of exploration of the creation and faith. Each day begins with a Bible verse and short devotional on the topic of the day. Daily connections link the devotional to personal faith and “What can I do?” gives examples of easy actions to take care of God’s creation. “Crazy facts” and jokes sprinkled throughout the devotion break up the serious topics. A wide range of topics are covered including energy production, endangered animals, and creative solutions to recycling. In the first ten days, I was disappointed that many of the “What can I do?” sections recommended reflecting and “relaying” thoughts to God instead of specific actions that can be taken. However, after the early days, the book managed to find a balance of action and reflection in its recommendations. It also offered many websites for readers to learn more about topics they were of interest and take their own initiative in creating change. 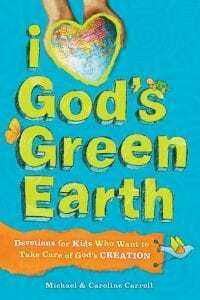 This section of the devotional also gives space for children to reflect and engage big conversations around creation care from nuclear power to endangered animals. While it does not take as strong a stance on global warming as I would have liked, it recognizes the changing climate and acknowledges human influence on the changing climate. I was impressed by the range of topics it covered and pleased with the action suggestions. Though it was published in 2010, this book’s introductory approach to faith and care for creation has prevented it from becoming outdated. This is a wonderful resource for families and Sunday school leaders across Christian denominations. It can be purchased through most major retail sellers as well as the publisher’s website directly, which offers discounts for single and bulk purchases. To visit the publisher’s website click here. For a 25 page excerpt of the devotional including the table of contents click here. A brief bio on author Caroline can be found here and one on Michael can be found here. The beautiful forests of Ethiopia are rapidly disappearing due to human activity. 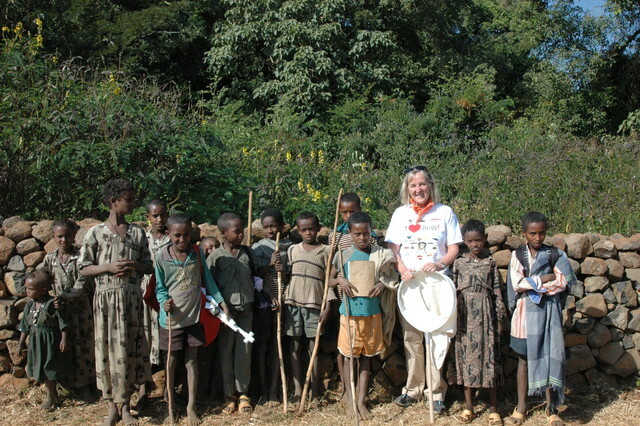 However, the forests around the Ethiopian churches remain intact and teeming with diverse life. Dr. Margaret D. Lowman, known as Canopy Meg, has teamed up with one of these churches to study and survey the wildlife, mostly insects in the area. The children of the church community are being engaged to become the next generation of stewards in order to ensure that the forests and creatures are preserved. Project leaders also aim to help build walls in order to keep these forest areas more protected from human development. Fantastic pictures as well as stimulating videos that give a glimpse into what is going on can be found here.